How do you compete in a market where charity distorts pricing? 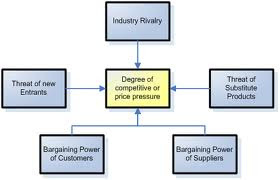 Strategy guru Michael Porter’s 5 forces framework is quite well known to anyone attempting to assess or analyze the landscape of an operating environment for an industry or organization. Increasingly, since I’ve begun working out of Sub Sahara I’ve been sensing the challenge of a 6th force – one that is overlooked when consumer markets are considered particularly in the mass majority demographic. It is insidious however and hinders the sustainable practice of commerce. It is the dominant logic of charity and aid which leads to free give aways by so many seeking to help a poor African out. The end result is DIY solar kits that can recharge phones and batteries. They look makeshift but they have the potential to make a huge difference to people thousands of miles away in Kenya. As the director of KnowYourPlanet, Mark Kragh’s day job is to resell solar panels to small businesses and hobbyists. But in February he will travel to Kenya to distribute specially-made kits he is giving away as charity, and to show local people how to make more. What if someone decided to give away solar panels for free to the small businesses and hobbyists who make up Mr Kragh’s customer base? How do you suppose that generous act of charity would impact his business? Similarly, whether its the jua kali inventor/maker customizing solar power installations for each of his clients or the many social enterprise ventures that dot the landscape, each in their own way are trying to earn a living even while the work that they do helps improve the quality of life for their customers. On one hand we talk about growing sustainable businesses and nurturing entrepreneurs as a critical means of social and economic development – ‘development through enterprise‘ we say- yet on the other, these very same fledgling ventures will be blindsided by a market force that has the power to distort pricing and disable competition. Where will the support come from for these companies to establish and grow marketing channels, distribution networks and a win win profitable solution for all stakeholders? The majority are local establishments who employ local people and thus add value to their communities. Well meaning enthusiasts who come in with hand outs are going to have the same effect on the market as any competitor who practices ‘dumping’ – it will undercut the market and cripple any sales or marketing strategy if the alternate to purchasing a local product in a shop is a free giveaway from a charitable individual or organization. Furthermore, they are not a business to provide any after sales service or maintenance or customer support, their goal is to be in and out having done ‘good’ during a flying visit.But the aftermath will create enough ripples in the market creation process that companies will have to deal with for a long time afterwards. Interestingly, Mr Kragh intends to visit Kenya – one of Sub Sahara’s most mature solar power markets instead of Senegal where he’d originally gotten his inspiration from. If I was part of the solar mobile charger and lantern manufacturers association in Kenya or even Nakumatt or the electrical supply shop cooperative or whichever relevant body, I’d say they should petition to put a stop to activities of this sort or send them along to a location who needs it more than they. After all, it is the season of giving rather than receiving and one must always help one’s neighbours.